It’s Fall!!! Do you feel the cool weather settling in? Nah, me neither, but I am waiting for it. I just found this great site! NASA Spot the Space Station! It is a great site that tells you when you can spot the space station! The next one is 6:25 this morning, but there are more through October 15th. Some are in the evening for those(unlike me) not crazy enough to up 5am! So my daughter asked me out of the blue this week to go to the IGFA Fishing Museum. I guess that sorted out my Pick of the Week for me! I was surprised that she remembered because it was summer before last that we went. It was a nice place to kill a few hours out of the rain and heat for sure! Click Here for my full review with loads of pictures. If you go to our Events Calendar and click on the advanced setting you can search by category. Choose Holiday to see all the fall festival and holiday activities that are coming up starting in October. How you can help keep this site running. I will admit it, we need your help! 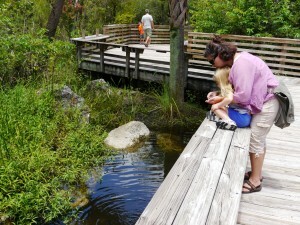 This entry was posted in Weekly Lists and tagged Boca Raton, cheap, Fort Lauderdale, Kids Activities, Kids Events, palm beach, reviews, South Florida by Cynthia Buckley. Bookmark the permalink.